Recruit directly on your own website, with minimal job hunters applying for the job and always requiring the IT or web development team to add another job vacancy to the website which seems to take weeks to do. Pay high advertising costs on online job boards, in online and offline newspapers and trade magazines, with advertising budgets only lasting a matter of weeks with no guarantee of quality applicants. Work with expensive recruitment agencies who take between 15-45% of the annual salary as a finders fee, often with little more involved than a scatter gun approach to sending out CVs to a dead database of candidates, resulting in a large amount of money being paid to the recruiter instead of the applicant which attracts less qualified staff to your business. In all of the above, when employers did see results with a large number of applications coming through, it was then an enormous challenge to sort the wheat from the chaff, with days and weeks being spent by current staff reviewing CVs. The reality is that almost everyone “Works well on their own and as part of a team”. CVs as a method of assessing the quality of applicants for a job role and company are fundamentally broken. Tendo Jobs solves these issues and has been built from scratch around the core needs of employers when recruiting staff. The challenge building Tendo Jobs from scratch was that of technology, scale and agility. Tendo Jobs needed to be designed from scratch to scale to become a global platform over the next 2-3 years. This meant that the platform had to be built with technology that could handle this level of functionality, users and an enormous amount of custom features. With a growing user base of both Employers and Job Hunters, Tendo Jobs needed to suit the needs of both parties seamlessly. It was essential the platform was capable of being extremely adaptable, being able to push updates out on a minute by minute basis if needed. In the early days this was indeed tested to it’s full, with a bug being identified, a fix implemented, and released to the live environment within as little as 15 minutes. That is an agile software development process which doesn’t happen by accident, it is the result of careful planning and clear execution. At the start of the project, this naturally led to a full review of the plethora of technology options available to use. From front end frameworks, back end frameworks, content management systems, payment gateway providers for both static and subscription based technologies, algorithm technologies, database search technologies and more. This list is far too long to list in its full form, suffice to say, the challenge was to make sure that the technology used to build the Tendo Jobs platform was capable of meeting the requirements of the platform for the foreseeable future. Poor technology decisions cost an awful lot of money to fix. Thankfully, with the work our staff have done with many businesses over the last decade, from tech startups to multinational technology platforms, we probably had a bit of a head start with this one. And many more technologies in the background too from your usual jQuery, CSS etc. Overall, the number of technologies powering Tendo Jobs is quite a few, which have been strategically segmented as much as possible which allows the web application to change over time without impacting other parts of the system. Large scale software development projects such as Tendo Jobs don’t happen overnight. They are the result of a lengthy period of market research, project planning, technical requirements gathering, technical research and an on-going agile software development process to build the platform step by step and testing everything along the way. From start to finish, the project took the best part of 2 years with around half of the time in the planning stages and around half of the time in the build stage. Many of our case studies have very positive graphs showing an enormous growth in traffic and revenue. It’s a little early stages for Tendo Jobs to produce these graphs yet as when starting from zero, everything is enormous growth so isn’t really a true picture of the results. Instead, we’ll focus on the results we’ve achieved with Tendo Jobs from a technology perspective. Below are a selection of screenshots for the different technologies powering the platform for both Employers and Job Hunters. Simplicity was key for the homepage, which is a theme that has been kept throughout the whole web application with the aim to make the platform as east to use as possible without needing any technical skills. Many search technologies are pretty basic and horrible to use which is why we researched various options to provide a smarter search technology which was capable of ranking results in order of popularity based on the search query. In a similar way Google does, just not quite as complex as Google. This search technology allows job hunters to actively search for vacancies based on multiple criteria without filling out difficult to use forms, it’s just a single search box and the technology takes care of the rest. 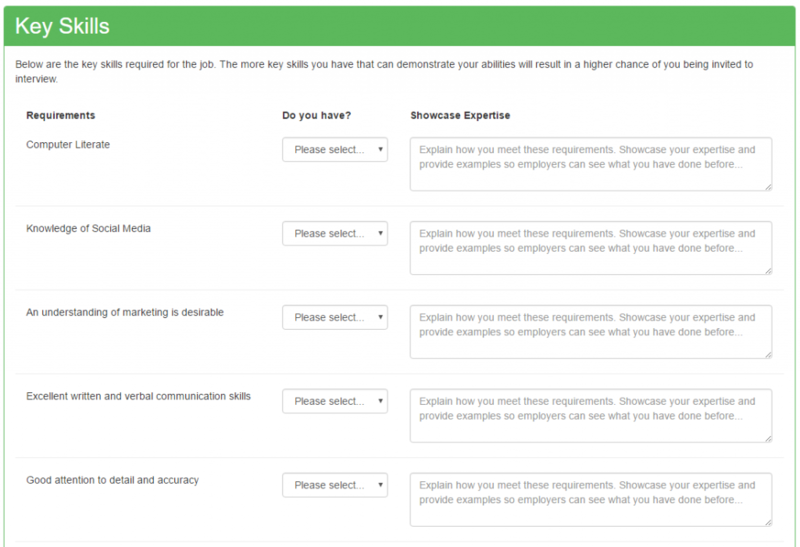 For employers to have a branded landing page where they can send job hunters to, this is invaluable. This is a page where all employer job vacancies are listed as they are added to the website automatically. From a job hunters perspective, they now know precisely what company they are applying to, what the salary levels are and already have links to key company profiles online which can be used for pre-interview research. The Curriculum Vitae (CV) is a document which was designed over 500 years ago with Leonardo da Vinci being credited as the first processional to write a resume in 1482. When it comes to applying for jobs, the CV is an outdated method and a method that is extremely inefficient for both applicants and employers. Everyone “works well on their own or as part of a team”. This is boring and adds no value. Employers want to see your passion for what you do, so at Tendo Jobs the technology was built to allow the platform to showcase yourself by matching your skills, knowledge and experience directly with what the employer is looking for. Much more effective. 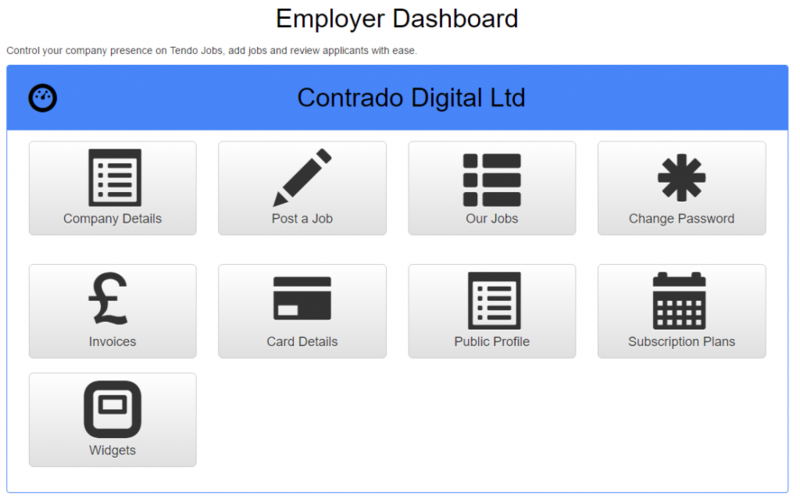 Central control panel for Job Hunters which is personalised for their individual details accordingly. 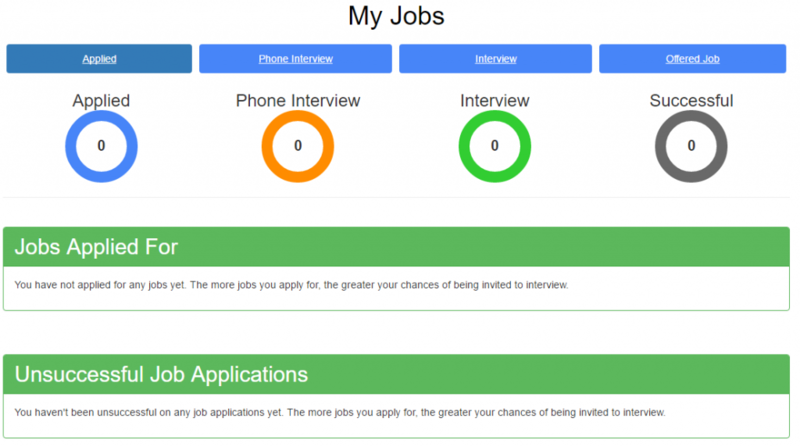 Allowing Job Hunters to easily apply for jobs and continue draft applications along with updating their personal details which are sent to Employers when they apply for the job. All Job Hunters want to know how their job hunting process is progressing, which is why we built in reporting metrics to help people with this from the start. Allowing job hunters to clearly see how many jobs they have applied for and which of these jobs they are starting to gain traction with. On the employers side we originally started with a significantly different pricing model. After going through the beta stage with valuable feedback from employers we decided to move over to a freemium subscription based model to simplify the whole process. Allowing employers to subscribe to, upgrade and downgrade their plans as they wish from within their Employer Dashboards. Here’s where the real beauty lies. 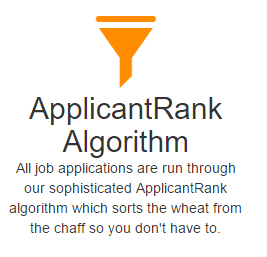 The ApplicantRank Algorithm we designed and built from scratch is designed specifically to automatically filter the wheat from the chaff when job hunters are applying for jobs. Often job hunters apply for jobs when they simply aren’t suitable, aren’t qualified and are just wasting everyone’s time. Employers don’t want to manually have to filter through CVs and job applications, so we thought we could build an algorithm which handled this for people. So we did. It’s the same concept as being on the first page of Google, these are your top results. Being at the top of the results from our ApplicantRank Algorithm means that the best suited candidates are automatically filtered to the top for you, saving you as an employer an awful lot of time manually filtering through applications. A central control panel for employers to manage their account. 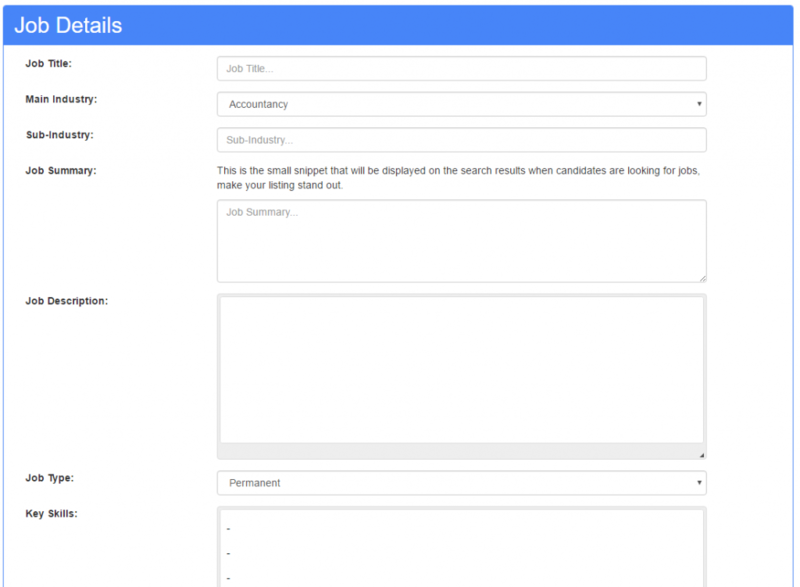 One of the core features of Tendo Jobs is posting job vacancies which is why we had to get this process spot on. Instead of storing data in an unstructured way like many job boards do, we have gone one step further to segment this data into core attributes which allows for much smarter filtering and functionality over time to help Job Hunters and Employers. 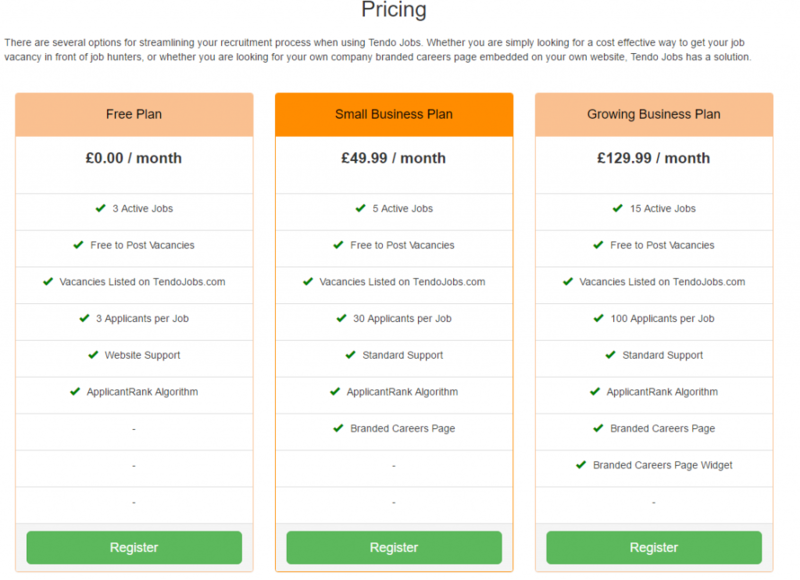 All employers on paid subscription plans have a branded careers page on Tendo Jobs as a landing page they can use to send job applicants to. One of the challenges for many businesses is managing to upload current job vacancies to their website as they often have to go through their IT or web development teams which is generally a very time consuming process. This is why we built an embeddable branded careers page widget which employers can use to power the careers page on their own website with ease and most importantly without ever having to ask IT or the web development team to upload another job. The Embeddable Branded Careers Page Widgets above are powered by a RESTful JSON API in the background which is restricted to only allow authorised websites to access this information. You wouldn’t want a competitor employer listing your jobs on their website would you. All in all, as you can see from the many screenshots above, there is a whole host of features and functionality that is included which would take a long time to run through. Suffice to say that this was a project designed to revolutionise an industry which takes time, dedication, leading technology and a significant amount of both planning, implementing, testing and launching this type of platform. What you see here truly is just the start of Tendo Jobs which is now in a position with extremely solid foundations and a platform for growth. 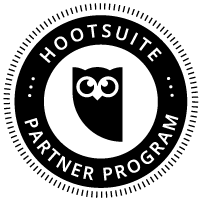 Watch this space (and sign up if you’re recruiting!). 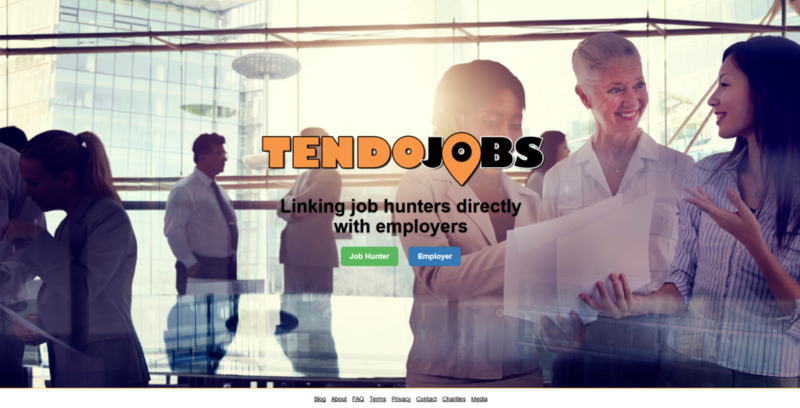 Tendo Jobs is the result of 2 years of hard work, listening to the challenges employers face and building an online platform for their recruitment needs. It was important the platform was designed to scale over time and be adaptable to the ever changing digital technology landscape. As far as minimum viable products go, I like to think we’ve got a pretty awesome start with the technology that is now in place. Watch this space.